Currently, 52 nationalities are entitled to enter Thailand without a visa for a maximum stay of 30 days, given that you can provide proof of a return or onward ticket. If you’re arriving into Thailand via land, you’ll be issued a visa exemption stamp of 15-30 days, depending on the nationality. Cool Season – The cool season runs from November to March and is also Koh Chang’s high season(27-30°C). Since the weather promises almost daily sunshine plus exceptional visibility under water, it’s no wonder that most people plan their travels around this time. Hot Season –Bags of sunshine and occasional thunderstorms bubble up with temperatures that are likely to hit 36-38°C from March to mid-May. Gentle sea breezes reduce the heat, making the temperatures more comfortable than on the mainland. April and May are also the main holiday months for Thais: The Thai New Year, Songkran, is annually celebrated from 13th-15th April followed by Labour Day and Coronation Day in May. It’s also the time when students celebrate the summer holidays. Rainy Season – The weather changes quickly by the end of May with daily torrential downpours and temperatures in the mid-20s. Windows of clear skies happen mostly at night and during early morning hours. It’s the time when ferry services between Koh Chang and neighbouring islands stop running. As the sea is rougher and the visibility reduces, dive and snorkel trips are rarely happening. Withdrawing cash is no problem as ATMs are widely available on Koh Chang. All major Thai banks have branches around the main beaches and open weekdays between 08:30-15:30 while only a few open as well on weekends. Changing money at hotels and resorts is possible but expect lower rates. Most hotels and resorts accept credit cards but it’s generally advisable to bring enough cash. Wi-Fi is offered free in most hotels, restaurants and cafés. The connections aren’t super speedy but still acceptable if compared with the mainland. Numerous internet cafés can be found around the west coast and offer reasonable connections. Rates start at 1 THB per minute or 40-50 THB per hour. Many hotels and resorts have business centres and booths for local and international calls. Internet cafés have mostly Skype set up while phone terminals can be found on many beaches. The 4G phone coverage throughout the island is superb and using your own phone is not a problem but not recommended as you may end up paying high bills if you should switch on international roaming. The cheapest way of staying connected is replacing your current sim with a pre-paid sim from providers like AIS, True Move or Dtac. Prices start at 50 THB and topping up your balance can be done at any 7-Eleven or many shops. Make sure your phone is unlocked. Buy a Tourist SIM card and get a package of week of unlimited internet plus 100 Baht or so of local calls for around 299 Baht. As all over Thailand, the electricity on Koh Chang is 220 volts (+/- 10 volts) while both, flat and round prongs, can be accommodated. The quality and stability of power are widely very good. Outlets outside international hotels are rarely grounded, use extra caution. It’s always a good idea to consult your doctor before travelling as they know whether and which vaccines are needed. No vaccinations are currently required to enter Thailand or particular for Koh Chang but Hepatitis A+B are strongly recommended. 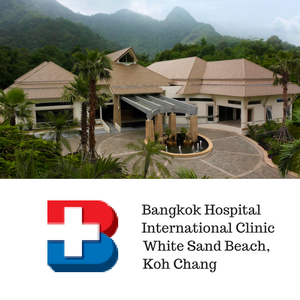 Medical facilities in Thailand, especially private ones, are among the best in Southeast Asia. 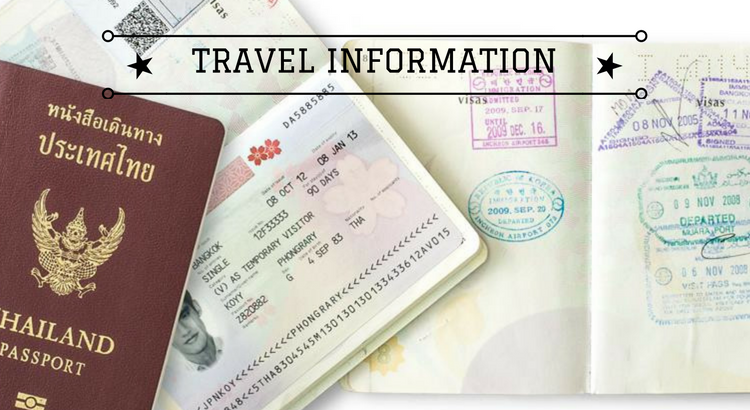 As astronomically bills for foreigners are common, make sure you have travel insurance before you go. – Use repellents, especially after sunset and when hiking/trekking through the jungle. You can get them at any 7-Eleven and in other mini-marts or kiosks. – Choose a room with AC. In case it doesn’t have one, apply repellent, keep the windows closed and sleep under a mosquito net. – Avoid bright clothing and choose darker tones at night. Wear closed shoes. Common symptoms are high fever, vomiting, shaking chills, strong headache, profuse sweating and diarrhea and occur within 48 hours. Seek immediate medical consultation if you have any of these symptoms. 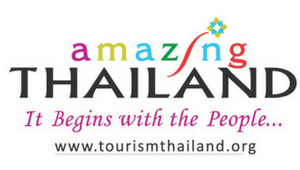 Generally, Thais are very helpful and you usually get assistance if you need it. 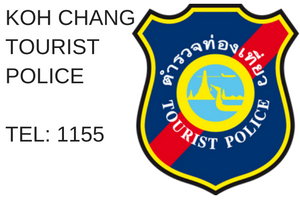 In cases of robbery and rip-offs, you can contact the Tourist Police at 1155. Most nations maintain diplomatic relations with Thailand and have embassies in Bangkok. Save your embassy’s phone number and address before you go.